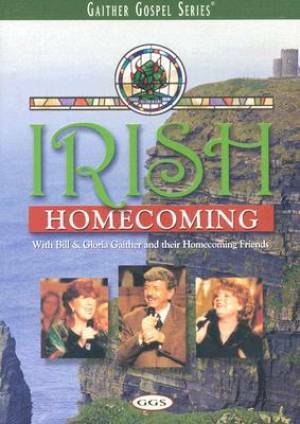 Irish Homecoming DVD by Bill & Gloria Gaither & Their Homecoming Friends was published by Gaither in September 2003 and is our 14576th best seller. The ISBN for Irish Homecoming DVD is 0617884442095. Be the first to review Irish Homecoming DVD! Got a question? No problem! Just click here to ask us about Irish Homecoming DVD. What is the DVD track list please? I would like to know if this Irish Homecoming DVD of the Gaithers can be played on a European dvd player? Is it a Region 2 (for Europe) or is it Region 1 (USA)? A:The Irish Homecoming DVD can be played on European (Region 2) DVD players, as it is a multi region DVD.